The Lost World. DVD. Just when you'd think that scientists would realize dinosaurs and humans don't mix, along comes The Lost World: Jurassic Park to prove you wrong. 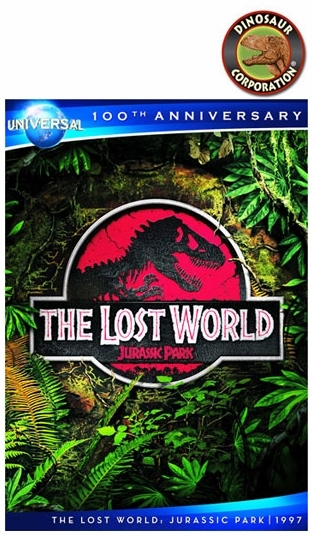 In this sequel, John Hammond (Richard Attenborough) summons chaos theorist and onetime colleague Ian Malcolm (Jeff Goldblum) to his home with some startling information -- while nearly everything at his Jurassic Park had been destroyed, engineers were also operating a second site, where other dinosaurs, resurrected through DNA cloning technology, had been kept in hiding. Hammond has learned the dinosaurs on the second island are alive and well and even breeding; Hammond wants Malcolm to observe and document the reptiles before Hammond's financiers can get to them. Malcolm declares he had enough of the dinosaurs the first time out, but decides to make the trip when he finds out that his girlfriend, paleontologist Sarah Harding (Julianne Moore), is already there. However, Ian and Sarah aren't the only visitors expected on the island; a camera crew led by ecological activist Nick Van Owen (Vince Vaughn) is on the way, as is Roland Tembo (Pete Postlethwaite), a world-class wild game hunter who is supposed to round up the dinosaurs and who hopes to bag a prehistoric trophy for himself in the process. This sequel to Jurassic Park boasted even more impressive special dinosaur effects.